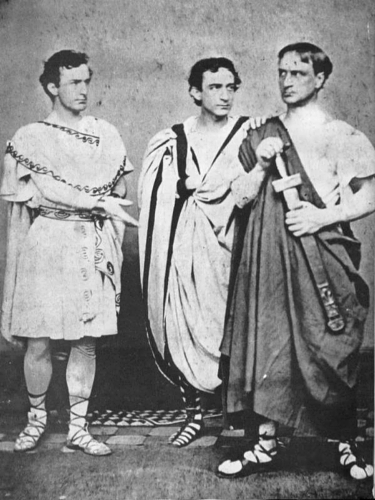 John Wilkes Booth (left), as Marc Antony; Junius Brutus Booth Jr. (center) as Cassius; and Edwin Booth (right), as Brutus, in “Julius Caesar”, performed in New York in 1864. As a general rule, historical anecdotes that seem a little “too perfect,” like “John Wilkes Booth’s brother saved the life of Abraham Lincoln’s son shortly before Lincoln was assassinated,” when researched thoroughly almost never turn out to be true. This, however, is one of the exceptions to that rule and it was no less than Robert Todd Lincoln himself who, in a letter to the editor of Century Magazine, Richard Gilder, in 1909 recounted the story of how Edwin Booth had saved his life. The incident occurred while a group of passengers were late at night purchasing their sleeping car places from the conductor who stood on the station platform at the entrance of the car. The platform was about the height of the car floor, and there was of course a narrow space between the platform and the car body. There was some crowding, and I happened to be pressed by it against the car body while waiting my turn. In this situation the train began to move, and by the motion I was twisted off my feet, and had dropped somewhat, with feet downward, into the open space, and was personally helpless, when my coat collar was vigorously seized and I was quickly pulled up and out to a secure footing on the platform. Upon turning to thank my rescuer I saw it was Edwin Booth, whose face was of course well known to me, and I expressed my gratitude to him, and in doing so, called him by name. After the assassination, Edwin Booth saw his famed family name ruined; lost his brother; lost his President, whom he staunchly supported; and nearly lost his career, due to his association with his brother- all in one day, and with none of it due to anything he had done. It was reported by his friends that he was brought stricken to the ground and only with time and the aid of his friends taking turns keeping a close watch on him in the coming months did he begin to make a recovery. He eventually made a successful return to the stage in January of 1866, about 8 months after the assassination. It was acknowledged that the knowledge that Edwin had saved the President’s eldest son’s life gave him some comfort going forward with his life. 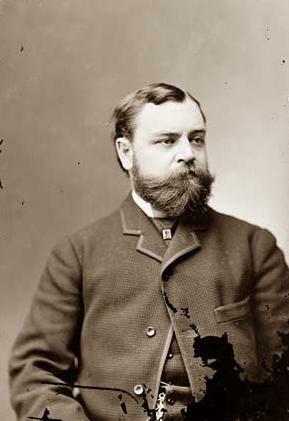 Robert Todd Lincoln was frequently pursued by the Republican Party to run for Vice President or President, to which he always vehemently shot down any such suggestions and stated that he’d refuse any nomination. The various careers and positions he did choose were: that of a lawyer; helped Oscar Dudley found the Illinois Industrial Training School for Boys, which took in abandoned children off the streets, among others (the school is now known as the Glenwood School for Boys & Girls); he was the president and chairman of the board at the Pullman Palace Car Company; he held the position of United States ambassador to the United Kingdom, for a time; and also held the post of Secretary of War, after turning down the position of Secretary of State. In his spare time, he was an avid amateur astronomer. R.T. Lincoln was also the only son of Abraham Lincoln to live past his teenage years, the other three dying before reaching adulthood. Robert Lincoln was present at the Appomattox, when Robert E. Lee officially surrendered for the South. He was also present and a witness at the assassination of U.S. President Garfield in 1881, at the time serving as the Secretary of War. Further, he was present when President McKinley was shot in 1901. 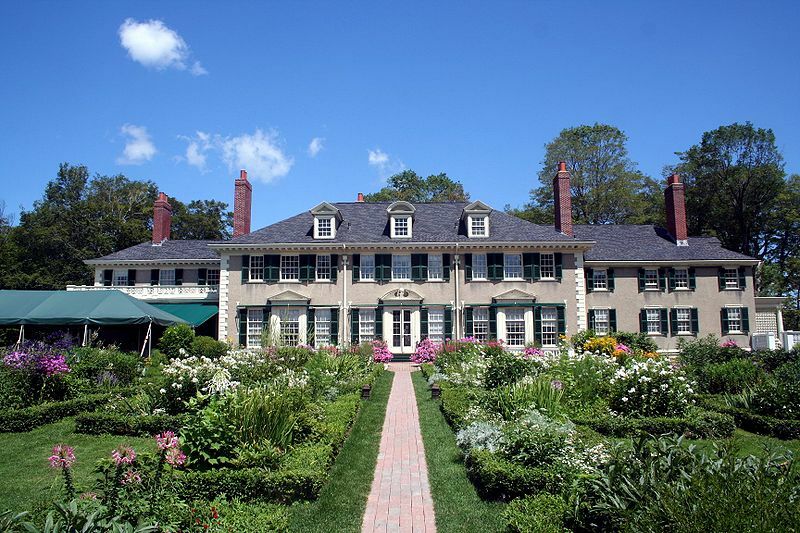 Finally, he had been invited to the theater the night his father was shot, but turned down the invitation and reportedly went to visit his friend, the President’s private secretary, John Hay. This is something Robert Lincoln would regret for the rest of his life, owing to the fact that he would have been sitting in the back seat next to the door at the theater, being the youngest member of the party, and thus, John Wilkes Booth would have had to get past him to get to Abraham Lincoln. Interesting how the choice of Robert Lincoln to simply go visit a friend, instead of go to the theater with his dad, may well have remarkably changed U.S. history. 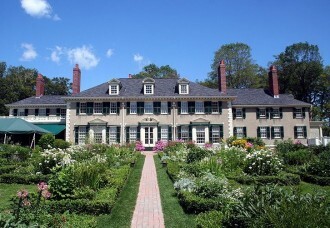 Because of the fact that he was either present or close to three presidential shootings, Robert Lincoln eventually began turning down all invitations, with one exception, to be in the presence of any presidential figure, once stating: “No, I’m not going, and they’d better not ask me, because there is a certain fatality about presidential functions when I am present.” The one exception was at the dedication to the Lincoln Memorial in 1922, where President Harding was present, as well as former President Taft. The last known direct descendant of Abraham Lincoln was Robert Lincoln’s grandson “Bud” Beckwith, who died in 1985. Edwin Booth was often credited as having been the greatest Hamlet of the 19th century, as well as one of the greatest actors of that era. The three brothers John Wilkes, Junius Brutus (Jr.), and Edwin Booth, all critically acclaimed actors of their day, only once all three appeared in the same play together. That was in a portrayal of Julius Caesar in 1864, with John Wilkes playing Marc Antony; Junius taking the roll of Cassius; and Edwin playing Brutus (pictured at the top of this article). The funds from the above performance were donated to erect a statue of William Shakespeare in Central Park, just south of the Promenade. The statue still stands there to this day. After three years of begging for his brother’s remains to be released to him, President Johnson, in 1869, finally consented and Edwin Booth had his brother buried in the family’s plot at Green Mount Cemetery in Baltimore, though he did not mark the spot, for obvious reasons. Edwin Booth was a staunch Unionist and Lincoln supporter, while John Wilkes Booth was an even more fanatical secessionist. When Edwin informed his brother he had voted for Lincoln, Wilkes Booth supposedly became rabid and asserted his belief that Lincoln would soon set himself up as king of America. Robert Todd Lincoln: A Man In His Own Right, John S. Goff. Would be best to correct the description under the picture of the 3 Booths in Julius Caesar: The CENTER figure is Edwin Booth as Brutus. A minor nit: Booth would have had to “get past” Robert, not “get passed”. @Calvin Dodge: I’ve now just spent 10 minutes reading up on the numerous subtle differences between “past” and “passed” and have determined English needs fixed. 😉 Thanks for catching that! I’ve recently watched two PBS documentaries about the Lincoln assassination and, during one of them, heard a reference to the fact that at some time soon before the Good Friday (that was a surprise to me too!) shooting Booth had stayed at the Peterson boarding house, where Lincoln died, and had likely slep in that same bed. I researched this a few years back, and included the incident in the screenplay I have written,” Edwin, The Actor King.” The film is now in pre-production. It deals with the life of Edwin Booth, his triumphs and and battle with personal demons that brought him down, and his courage and determination that brought him back to the crest of popularity. His great desire, to redeem the Booth name, culminated in the founding of the Players. I might add, that accompanying Edwin Booth at the time of the incident mentioned above, was John Ford, whose theater in Washington was the scene of the great tragedy in April 1865.